In December 1976, shortly before the Roth family learned of the return of Joe's cancer, the San Francisco Bay Area newspapers announced that Joe had been selected to play in all three major post-season All-Star games, the East-West Shrine Game, Hula Bowl, and Japan Bowl. Joe was thrilled to be selected for these games and he was determined to play in all three. 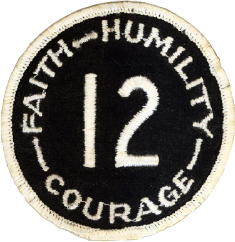 While he was ultimately only able to play in two (Hula and Japan Bowl), Joe participated in all three. 0 0 0.0% 0 0 0 Captain, did not play. The East-West Shrine Game is an annual post-season college football All-Star game with a long history of distinguished players and coaches who have participated in the game. What makes the Shrine Game so special is its true purpose - helping to support Shriners Hospitals for Children. 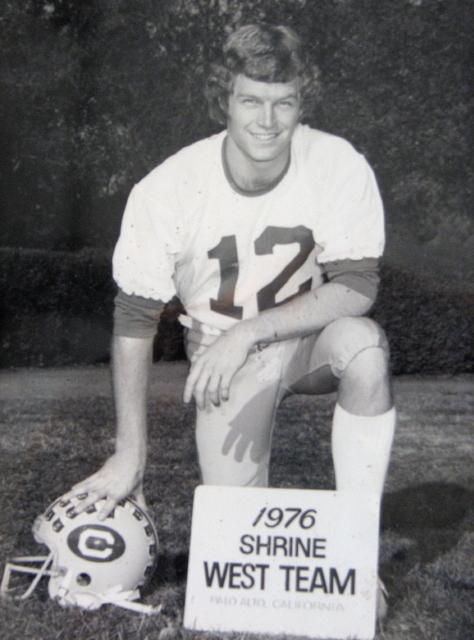 Every year since 1925, the Shrine Game has been played to raise money and to help make the public aware of the expert orthopedic and burn care available, at no cost, to all children at Shriners' Hospitals for Children. Players participating in the 1977 East-West Shrine Game were to report to Palo Alto, CA on December 23, 1976 to begin practicing. In the short few weeks between the announcement of Joe's selection to these prestigious All-Star games and the December 23 reporting date, Dr. Michael Friedman of the University of California, San Francisco confirmed that Joe's cancer had returned. With this horrible news fresh in his mind, Joe elected to spend Christmas with his family in Jerome, Idaho. Joe conferred with the West coaching staff and East-West Shrine Game officials and they postponed Joe's check-in date to December 26th. One of the unique traditions of the East-West Shrine Game is for the players on both teams to visit the kids staying at the Shriners' Hospital. 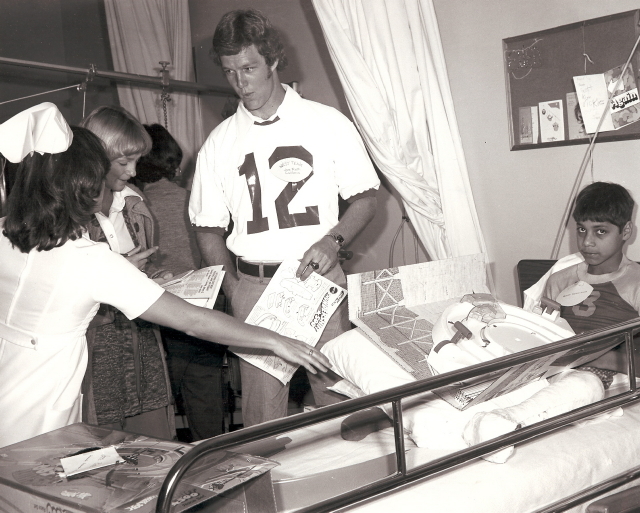 Joe hated hospitals but understood the importance and impact the players' visit had on the kids being treated at the hospital. Despite suffering from his own tremendous pain, Joe happily participated in the autograph and photo day at the Shriners Hospital in Palo Alto, CA. Joe's health was deteriorating but he still felt fortunate that he could play football while the kids were suffering in a hospital. During a Shrine game practice on December 31st (just two days before the game) while pulling away from center, Joe got a terrible pain in his back. Joe wanted to live his life as normally as possible and did not want the news of his cancer's return to be made public so the East-West Shrine Game officials released a press release that Joe would not play in the 52nd East-West Shrine Game due to back spasms. In reality, the horrible pain he was experiencing was being caused by tumors on his spine. Joe's body was deteriorating and his weight was down from 205 to 175 pounds. 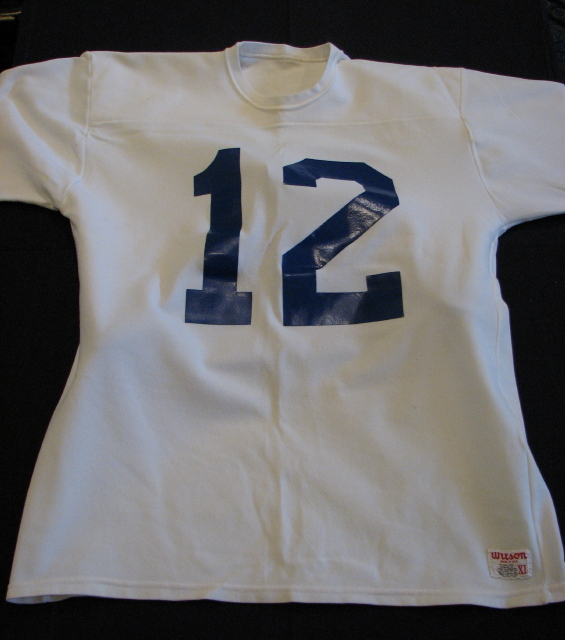 Joe had earned the starting quarterback position and was also elected team captain for the West squad. Joe did not suit up for the game but he did serve as the team captain and stood on the sidelines as his West teammates beat the East squad 30-14.